May. 8, 2017 | May 8, 2017 | Kristopher B. Shewmake, M.D., has joined the University of Arkansas for Medical Sciences (UAMS) as director of the Division of Plastic and Reconstructive Surgery in the College of Medicine Department of Surgery. He is also an associate professor of plastic surgery at UAMS. He continues to see patients through his private practice, Shewmake Plastic Surgery in Little Rock. 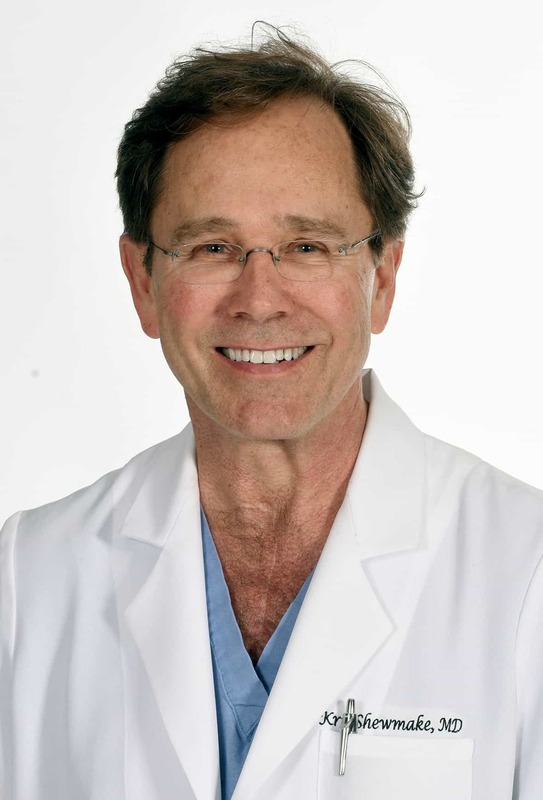 Shewmake was chief of the Division of Plastic Surgery at UAMS from 1992-1996 and has been in private practice from 1996 until rejoining UAMS part time this year. Shewmake earned his bachelor’s degree in biology from Hendrix College in Conway and a master’s degree in natural science from the University of Arkansas at Fayetteville. He received his medical degree from UAMS, where he also completed a residency in general surgery. He completed a residency in plastic and reconstructive surgery at the University of Texas-Southwestern Surgery Medical Center in Dallas and a fellowship in craniomaxillofacial surgery at the University of California in Los Angeles. Shewmake is a member of the Alpha Omega Alpha Medical Honor Society, the American Society of Plastic and Reconstructive Surgeons, American Society for Aesthetic Plastic Surgery, Arkansas Medical Society, American Association of Plastic Surgeons and the Pulaski County Medical Society. He has been a fellow with the American College of Surgeons since 1996 and is certified by the American Board of Plastic Surgery.